Apple isn't selling as many iPhones as it had previously forecast, according to revised first quarter projections, and it's a big enough shortfall to lower its revenue estimates by billions of dollars. The company lowered its guidance by $9 billion (about £$7.14b, AU$12.9b), going from a projected high of $93 billion (about £74b, AU$133b) to a new estimate of $84 billion (about £67b, AU$120b). The blame? "Lower than anticipated iPhone revenue, primarily in Greater China," according to a letter by Apple CEO Tim Cook. He cited the slowing of the Chinese economy and US-China trade tensions. Apple stock was briefly halted and the share price fell over 10 points in after hours trading. If there's any good news, it's that Cook noted that categories outside of the iPhone, including Mac, iPad wearables and services, actually grew by 19%. It's not all China. 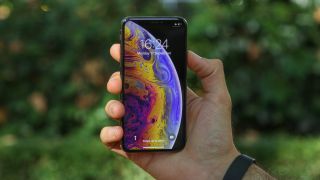 Other factors for weak iPhone performance include the strength of the US dollar and Apple's temporarily price cut for its replacement battery service in older iPhones. That deal ended on December 31. Cook also cited the fact that there are fewer carrier subsidies in a CNBC interview. In the US, for example, a new iPhone isn't $199 on contract anymore. That changed a while ago, but it's just hitting some new upgraders for the first time. "There aren't as many subsidies as their used to be from a carrier point of view," said Cook. "That didn't all happen yesterday, but if you were out of the market for two to three years and you come back, it looks like that to you." The next official Apple earning conference call is expected to happen toward the end of this month, on Tuesday, January 29. We'll have the final numbers and more words from Cook and company then.